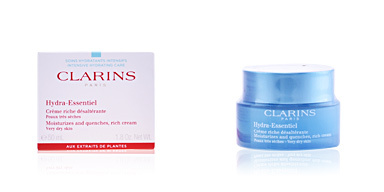 Hydra Essentiel Crème 50 ml. 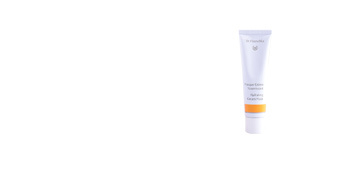 A moisturizing facial cream for normal and/or dry skin. 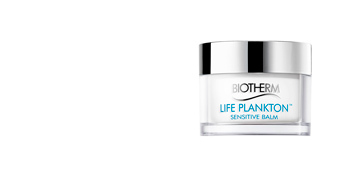 It helps to retain water in the skin by stimulating the natural production of hyaluronic acid. The result is a radiant and perfectly hydrated skin. 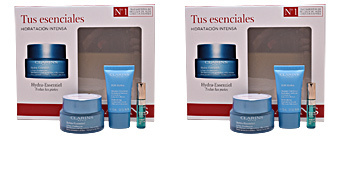 · SOS Hydra Mask 15 ml. A facial mask with a moisturizing effect for the care of dry skin. 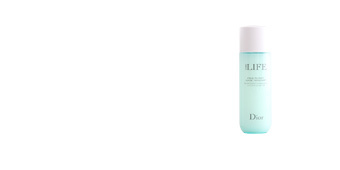 It provides a pleasant sensation of freshness on the skin and eliminates any signs of dryness and/or tightness. 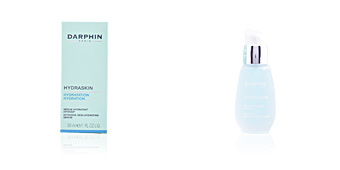 In just 10 minutes skin improves hydration, suppleness and texture. 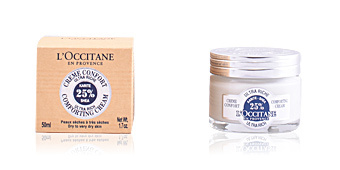 · DOUX POLISSANT Crème à Micrograins 15 ml. A facial scrub for all skin types that improves and refines skin texture. 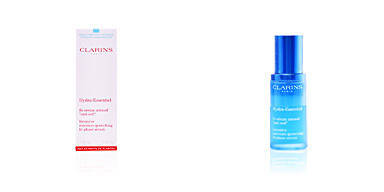 After use, the skin feels fresh and smooth with clear pores. 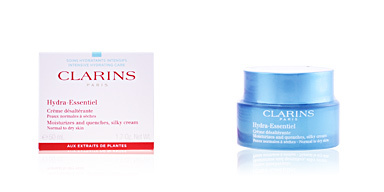 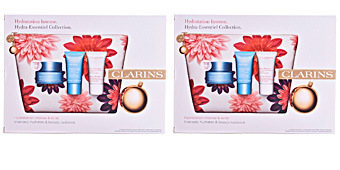 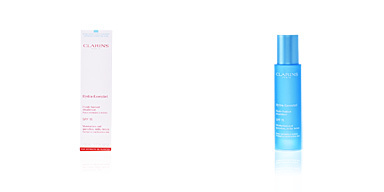 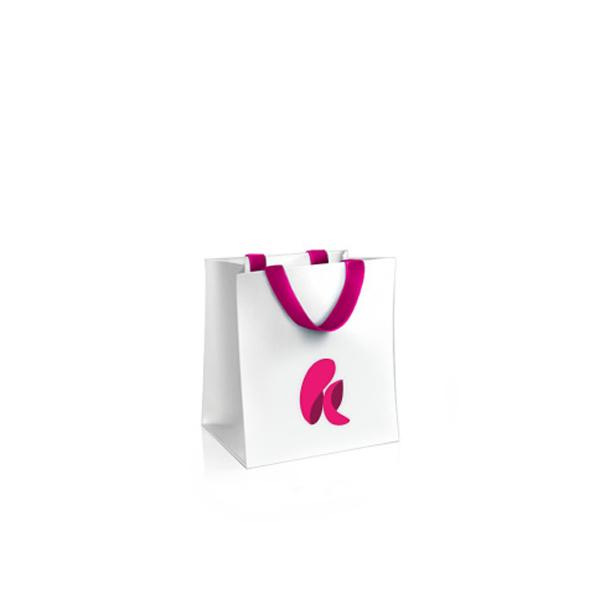 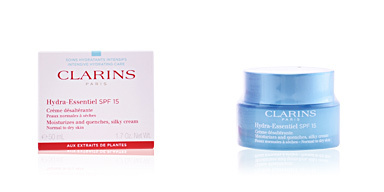 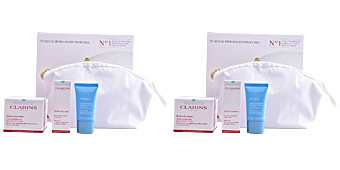 · Toiletry bag with white and gold details by CLARINS.